Hello there! Today’s blogpost will be slightly different from the usual as I would like to steer my blog towards another direction where I focus more on a particular beauty category/key products from a brand on weekends (since they are very lengthy)! Without a doubt, I will still be reviewing products as I go along my daily routine as a beauty blogger but when the opportunity arise, I would prefer lumping them into category based as that is what I would like to read as a reader – I do hope you do too, do leave some feedback for me 🙂 I have been playing around with this writing style for awhile now, which explains why I haven’t been reviewing on some products, felt that 2016 is a good way to kickstart this journey with my favourite skincare: MASKS!!! 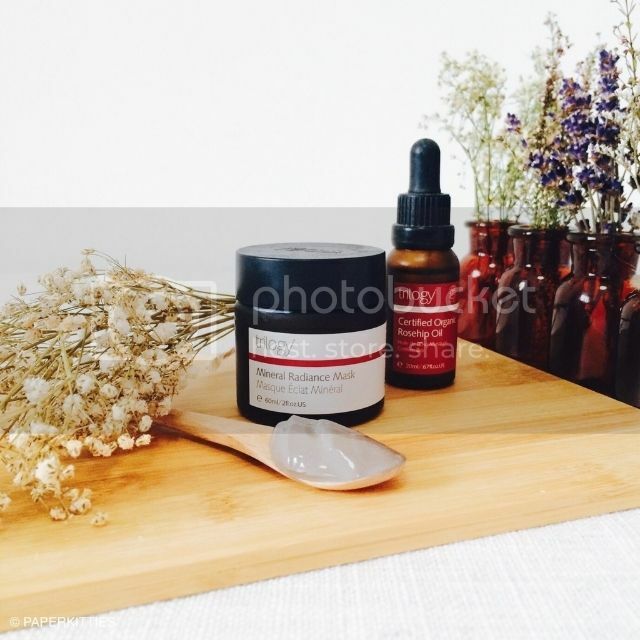 Product deets: Corrynne’s Natural Soap & Body Product is a natural plant based Western Australian brand that is made with the old fashioned cold process recipes. Made of Fuller’s Earth clay harvested from lake Neeramyne in Western Australia, it is a fully hydrated and ready-to-use mask aiming to gently draw out impurities due to the clay’s silica content, improves circulation and skin tone. A weekly mask will help to reduce pore size and speeds the healing of pimples and acne and helps to reduce oily zones. It is suitable for sensitive skin and is milled to 300 microns so it is very fine but will still gently exfoliate and polish skin. My thoughts: I first chanced upon this brand when I was shopping around Fremantle market. 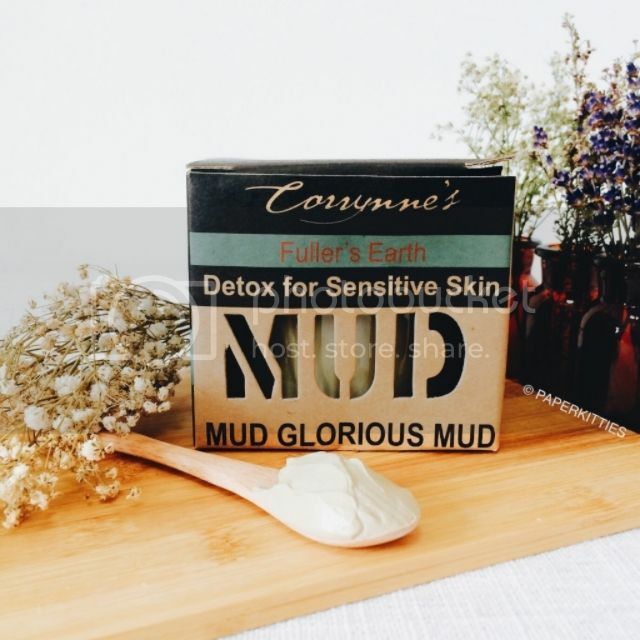 I have a huge thing when it comes to buying local natural products, especially skincare, so naturally Corrynne’s Natural Soap & Body Product clay range caught my eye and I refused to budge despite fatty’s dismay. The shop assistant was really sweet to pick this one out for me after I explained my skin type and problems (as she felt the others were too harsh) and I bought it without hesitation. 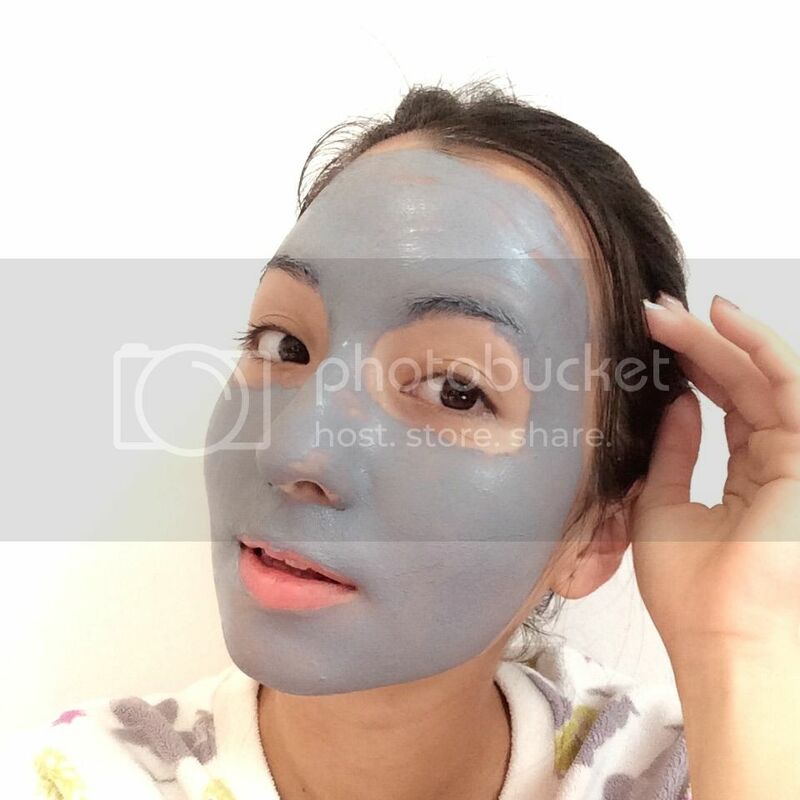 For a 100% clay mask, I find it very reasonable when a Fresh equivalent would have cost around SGD$90? It’s really strong so I would recommend you to use it only once a week followed by a hydrating mask after. I have since grown addicted to it as really draws out all the impurities in my skin and control my acne. 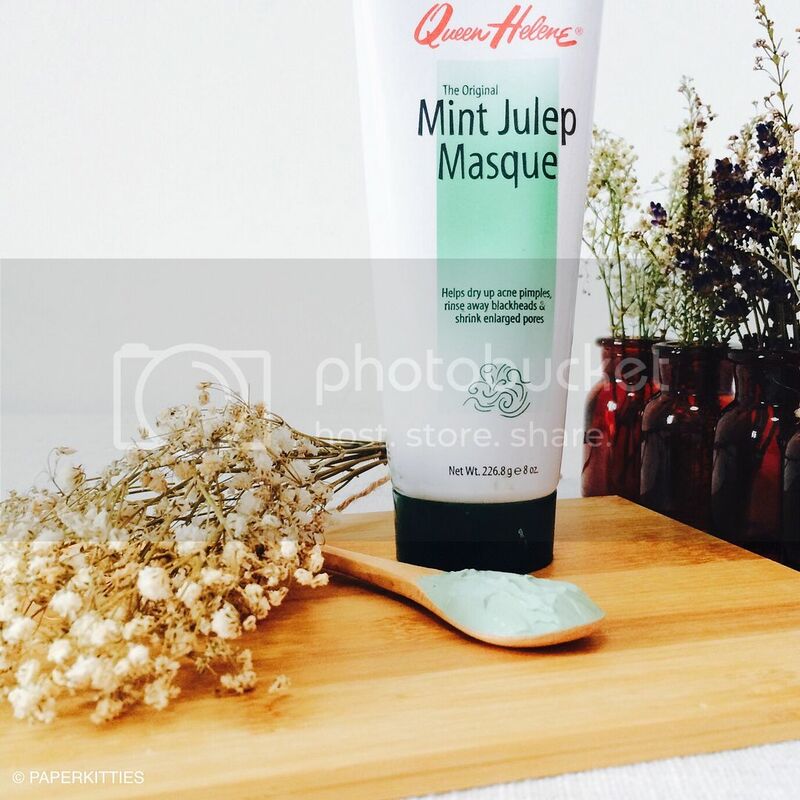 You can even heat up the mask for 15 minutes in the oven to really deep cleanse your pores. My face also turns slightly red, presumably from the blood circulation, so I would recommend that you use this only at night. Despite it being so effective, it is not at all harsh to the skin and thus doesn’t cause any additional further irritation. It is definitely one of those mask you should try and in fact, I am thinking of holding a spree for it. Anyone interested? Product deets: A charcoal toned instant purifying mask that can also be used as a daily deep cleanser or to minimize pores and small imperfections. Meant for normal to oily skin, it is proven to significantly reduce the appearance of pores and mattify the skin without drying out the complexion. 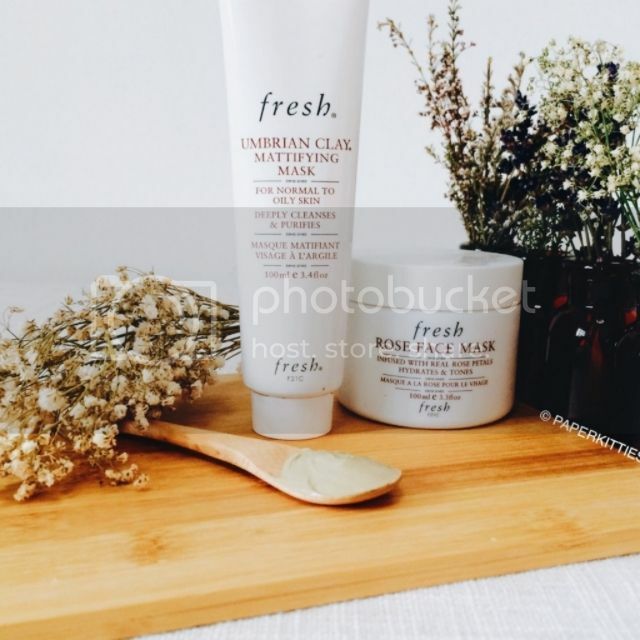 Umbrian clay, Fresh’s proprietary ingredient, is a charcoal toned clay that has a uniquely high mineral content that works to neutralize acidity, purifying and clarifying the complexion. Sandalwood oil is known for its astringent properties and helps to calm the skin while olive leaf extract helps to restore suppleness and is known to protect against free radicals. My thoughts: A close runner-up to Corrynne’s Detox Mud, Fresh clay is also another clay masks that I find myself using very frequently. It is so gentle you can even use it a daily facial wash! Thus, I use it once a week (on good skin days) to 2-3 times a week during my acne period on top of Corrynnes’. These two are my weekly ritual, I feel damn icky if a week past without using them. I have since moved on to trying out most of their masks thanks to the 2015’s Xmas Mask Set, so do look forward to reading a special “Fresh Masks” review once time permits! Product deets: Set up by the green goddess and organic-devotee Miranda Kerr, Kora sets out to develop a range of products that bring together the very best in skincare ingredients that are designed to nourish, replenish and hydrate the skin. My thoughts: I’ve previously raved about this products for a couple of times because it really is one of my favourite purifying mask to date. This was also another beautiful organic find when I was studying down under. When your favourite (ex)Victoria Secret Angel launched a skincare range in line with her beliefs for all things natural, it’s hard to not be tempted by it.. in an attempt to look at least 1/4 as beautiful as she is. Lol. The texture is slightly more watery than most clay mask out in the market, and though the sensitive skin may find it a little too tingly for them, I do love how it deeply cleanse my skin and helps prevent whiteheads from forming. When I first started using, it actually broke me out due to the toxins that it drew out.. but as I continued using, the effects were worth it. You just got to be persistent with this one! Product deets: The creators of GLAMGLOW know adults suffer from blemishes just as much as teenagers, so they’ve created the world’s most scientifically advanced SUPERMUD™ Clearing Treatment to target, prevent and heal from the inside out. Use as a full mask or as a spot treatment as often as needed. SUPERMUD™ was clinically developed by GLAMGLOW® dermatological chemist to help fight all common skin concerns for men and women like pores, problem skin, blemishes, pimples, breakouts, zits, spots, black & white heads, razor bumps & in -grown hair. 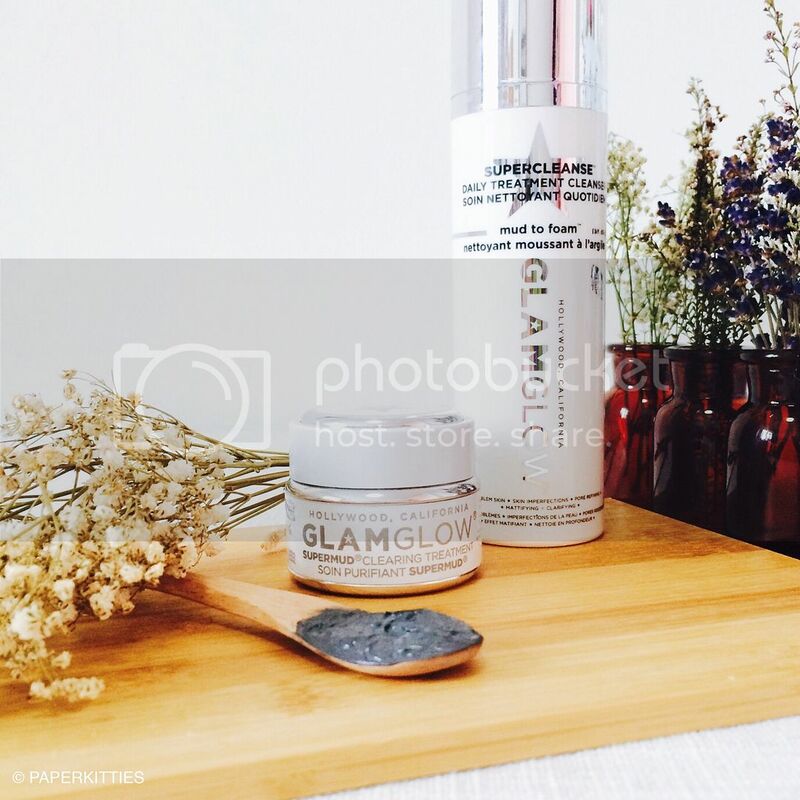 It contains GLAMGLOW’s new ACNECIDIC-6™ proprietary 6 acid AHA & BHA blend for mind-blowing fast results. My thoughts: Another frequently reviewed brand on the blog is none other than Glamglow! Obviously Glamglow has loads of mud masks to choose from, but I have narrowed down to one and only one, in line with today’s topic. For a period of time, this was my #1 go-to whenever I have an acne breakout. I knew I can rely on Supermud to draw out all the nasty blackheads, shrink my pores (albeit for a short while, cuz pores never do completely disappear so easily) and calm the angry red. Alas, after four tubs.. I think my skin got kinda immune to it so it was no longer worth the investment. I now use the GlamGlow SUPERCLEANSE™ – Daily Clearing Cleanser on bad skin days; half the price, more gentle for my skin but almost as effective! Product deets: Mineral-rich kaolin clay delivers instant radiance with a deep cleansing action. Native New Zealand pohutukawa extract helps tone and regenerate while emollient oils rosehip and evening primrose nourish and hydrate. My thoughts: Trilogy is an under-rated organic brand that specialises in rosehip oil with a reasonable price tag. This is a very soothing mask that isn’t at all drying unlike most clay masks out in the market because it contains rosehip, evening primrose, almond, jojoba oils etc. In fact, it doesn’t dry nor crack even after leaving it on for at least 15 minutes. You will be surprised that something so gentle can be so efficient in drawing out the impurities and thoroughly removes my blackheads, yet still keeps my skin feeling hydrated. It doesn’t do much for the pimples but certainly help in calming the angry reds though. If you have dry skin, this is a clay mask that you can consider getting too. Product deets: Suitable for normal to oily skin, this twin action pore minimizer extracts impurities deep within each pore and then micro-exfoliate the surface, pore by pore. 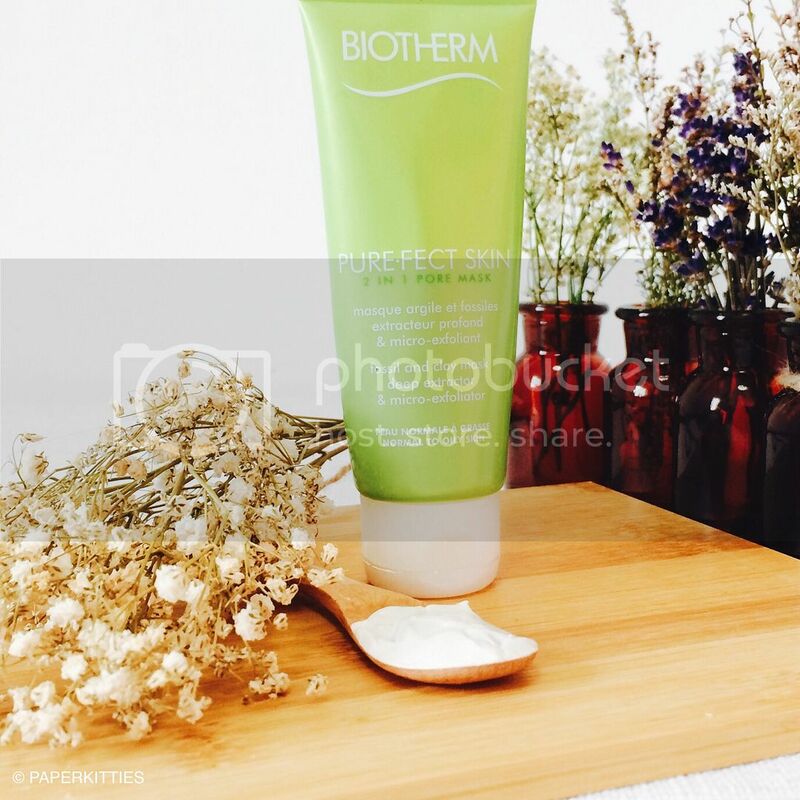 Biotherm proudly states that your pores will appear as though it is invisible, smoothened whilst having purified, clarified and brighter looking skin! Behind Purefect Skin 2-in-1 Pore Mask miracle ingredient is a purifying Clay Extract infused with a 300 million-year-old micro-exfoliating Fossil Algae Extract for a 2 in 1 shrinking and smoothing action. It is also empowered with “diamond-sharp” Fossil Diatomeas Extracts (3 times smaller than pores to combat oily skin) to micro-exfoliates the skin and eliminate any remaining impurities. My thoughts: Adding on to the Purefect Skincare Range is the Purefect Skin 2-in-1 Pore Mask that doesn’t seem to be as popular as I think it deserves to be; I nicknamed this the underdog of all my clay masks as I never expected it to work so well! It’s the most fuss-free of my entire clay mask collection as it only takes one minute: Apply and leave it on, wash other parts of the body, get back to massaging one’s face to exfoliate and wash off! It has this warming sensation and I noticed that it shrinks much visibly on my nose (especially since the blackheads are also purged in the process) but not much for the large pores; which is understandable as those needs special aesthetics attention to rid them completely. If your face tends to be oily and is quite prone to blackheads, I would recommend that you give it a go and be amazed at the disappearing blackheads/pores and cleaner looking skin! Product deets: Quick-drying clay gel mask made of mineral mud from the Yellow Sea; absorbs excess sebum and cleans the pores. My thoughts: K-beauty fans rejoice, here’s something for you too! The selling point of this clay mask is to minimise your giant pores. Perhaps I am overly critical, I didn’t find it as effective as it was marketed to be. Excess sebum and impurities removed? Yes. Blackheads looking visibly reduced and enlarged pores area looking clean? Yes. Enlarged pores looking smaller? Nope! Basically, it does everything a clay mask is suppose to do but don’t expect any miracles on your visible pores. 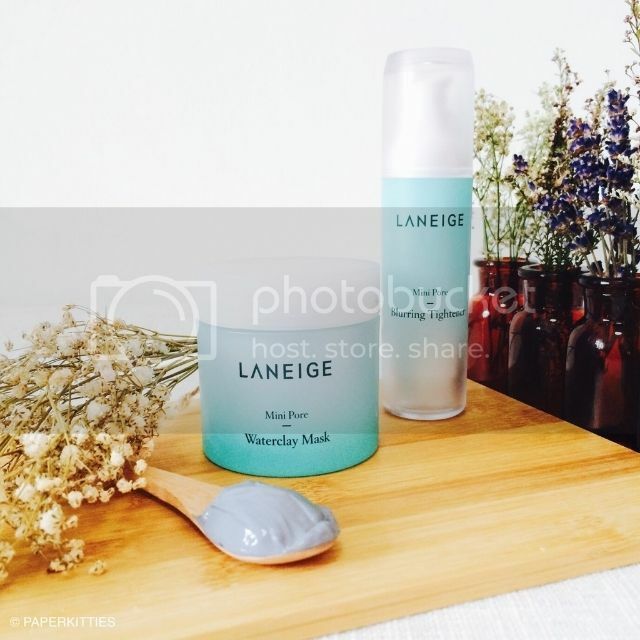 I do however must comment that using the Laneige Mini Pore Blurring Tightener after the mask does helps in minimising the pores though! So I reckon it’s best to use them as a combo to see best results. 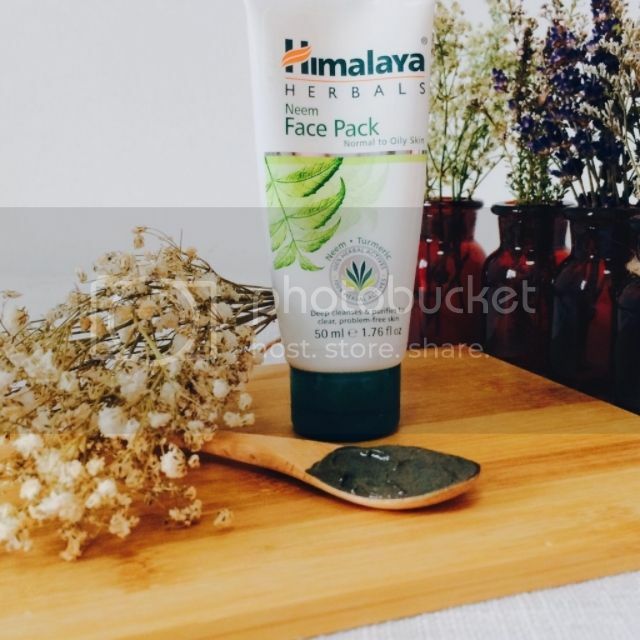 Product deets: Himalaya’s Purifying Neem Pack brings together the goodness of Neem, Fuller’s Earth and Turmeric, which work together to regulate excess oil secretion, clean clogged pores and prevent the recurrence of pimples. My thoughts: This is the one of those masks that will put people off just by the scent itself, it strongly reminded me of henna and would still linger around after the mask has been washed off. I tried loving this product with an open mind but it is very hard to do so when every time I decide to try it out after a long while, I am first greeted by a layer of oil before the actual product could be squeezed out. But if I oversee these flaws, it does a good job in drying out some pimples and is really gentle on my skin – even when I am scrubbing it off. It also draws out most of my blackheads effectively. My tip is that if you really can’t stand the scent, just use it over the troubled spots and leave it overnight. Product deets: Queen Helene’s original, all-time favorite green masque instantly absorbs excess oil, extracts impurities and helps minimize the appearance of pores. After use, skin is deeply clean with a fresh oil-free feel and healthy looking complexion. My thoughts: The much raved about mask came with so much hype, I was left thoroughly disappointed. It’s super cheap for its size, smells like toothpaste but does nothing much for me. I find it too drying for regular use, and although some people claim that it helps rid the oil, I find it making the oil factor worse since my skin is already dehydrated to begin with. I might consider it as an overnight spot treatment, but its definitely not going anywhere near my entire face anymore. Dry/sensitive skin peeps, you better stay far far away from this one. 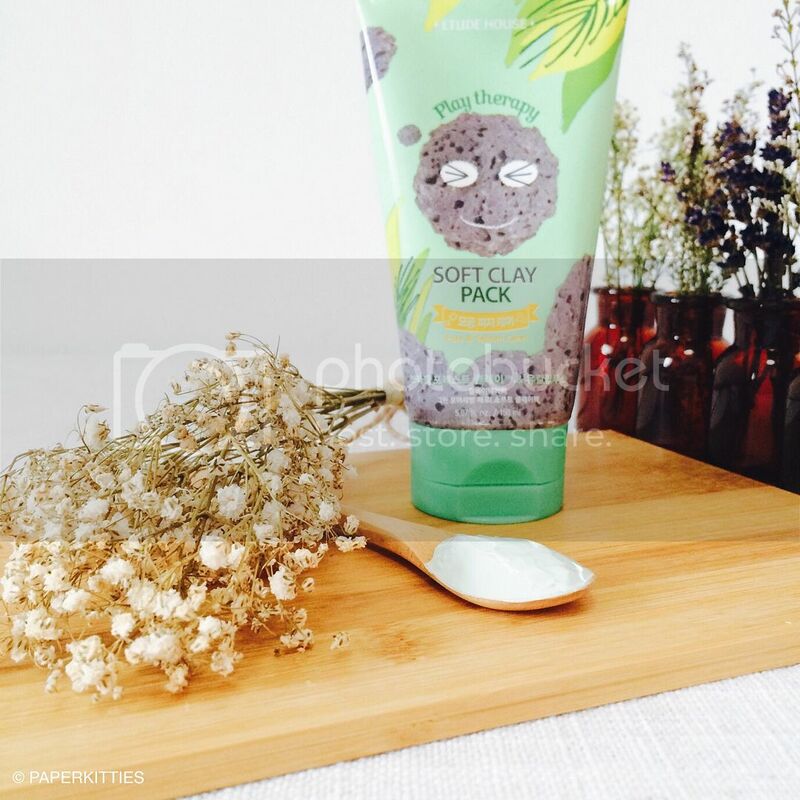 Product deets: Soft clay remove excess sebum and impurities giving clear skin care, providing silky flawless skin after each usage. My thoughts: It did absolutely nothing for me, felt no different from my usual face wash. My blackheads were still visible, pores didn’t shrink (not even for a teeny tiny moment), no effect on my usual skin problems. I wouldn’t recommend it at all. Previous Post Saturday’s Musings of Curious Palette, Bloc+, Laneige, Victoria’s Secret and whatnots.. Thanks Kim! And don't be envious, its just my hobby to collect them as I go along :p Clay masks are so important for oily skin! Actually the ingredients in the mask you tried sound similar to mine, so I don't doubt the effect. They get really tight when dried, I have to mist my face at times to ease it too. Glamglow is a cult brand that actually walks the talk, only drawback is its price factor – I think oz should be even more exp than sg? And please use more masks, especially hydrating ones when down under!